We pride ourselves in discreet service by our skilled and professional staff, home-cooked meals and comfort, taking care of every detail. At Leaves we cater expressly for the modern traveller and their specific needs. 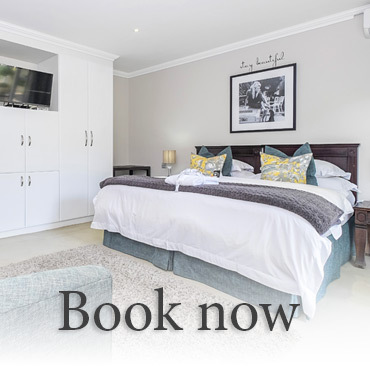 Situated in the Sandton suburb of Rivonia with easy access to major highways in Johannesburg, we offer complimentary Wi-Fi connectivity, tourist information and booking services. The eight rooms at Leaves each offer elegant, modern, private, secure and functional comfort.